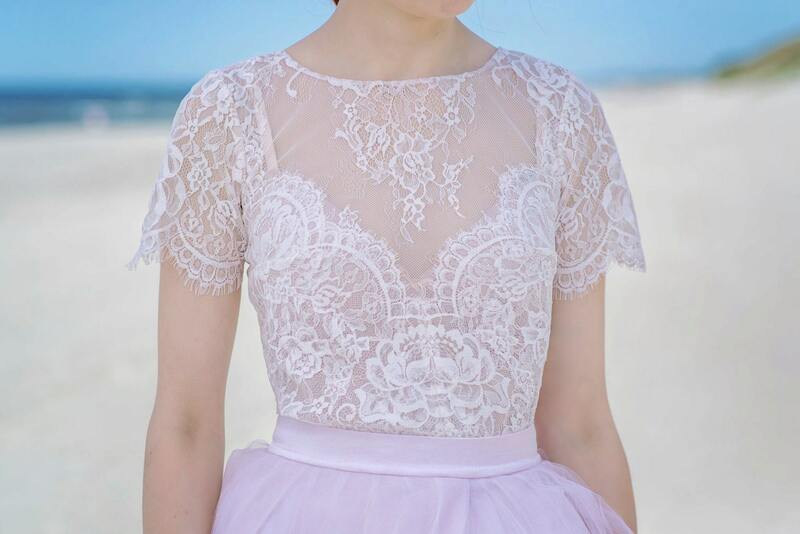 This very romantic looking bridal lace blouse is made out of two layers of lace, forming beautiful patterns. The lace is hand dyed and thus it is available in any custom shade, including pure white as it is the colour it originally comes in. The top is hip-bone long and it's a slim fit (not a body tight fit) as it appears in the photos. 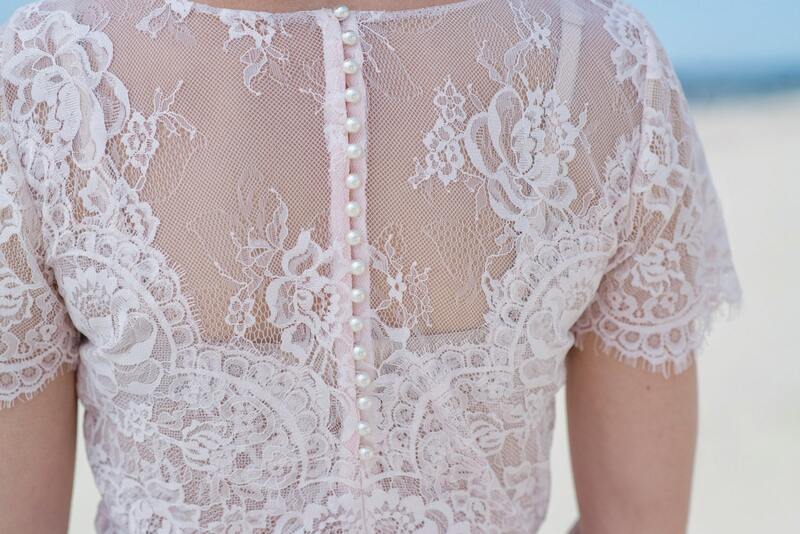 It has beautiful pearly buttons in the back, a rounded neckline and short sleeves. The sleeves can be done longer, full length or no sleeves at all is an option for this top. 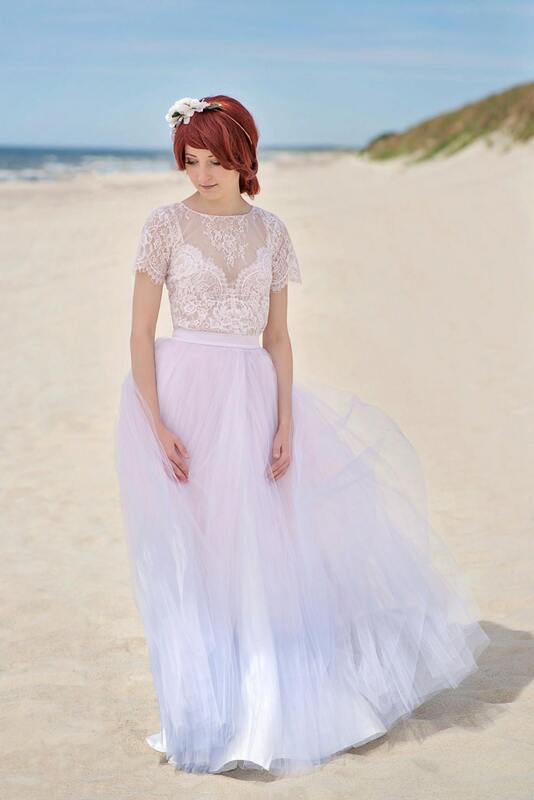 Inge's work is just stunning. This top is so so beautiful. I can't express how happy I am with it. 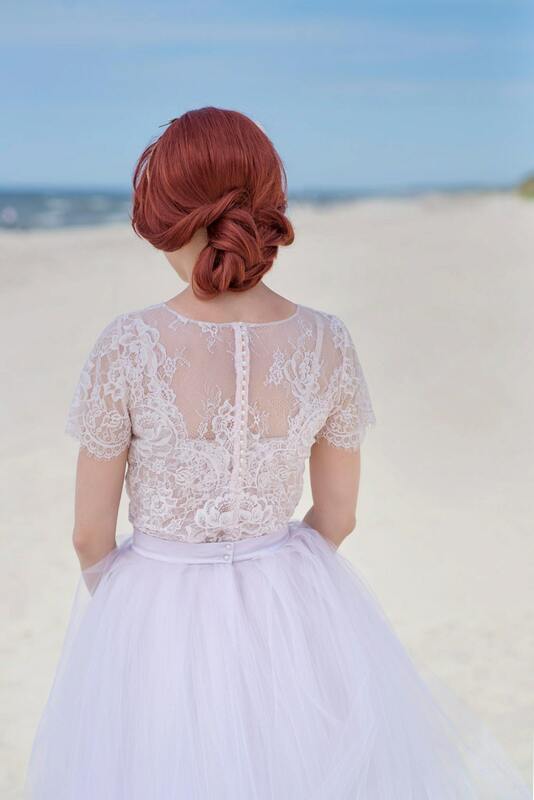 I paired it with hand dyed skirt from Inge and it was the wedding outfit of my dreams! Thank you so much Inge!! I ordered it as a crop top to wear it with an high-wasted tulle skirt. I was so excited what it will look like. The top is amazing! I'm absolutely happy with it. 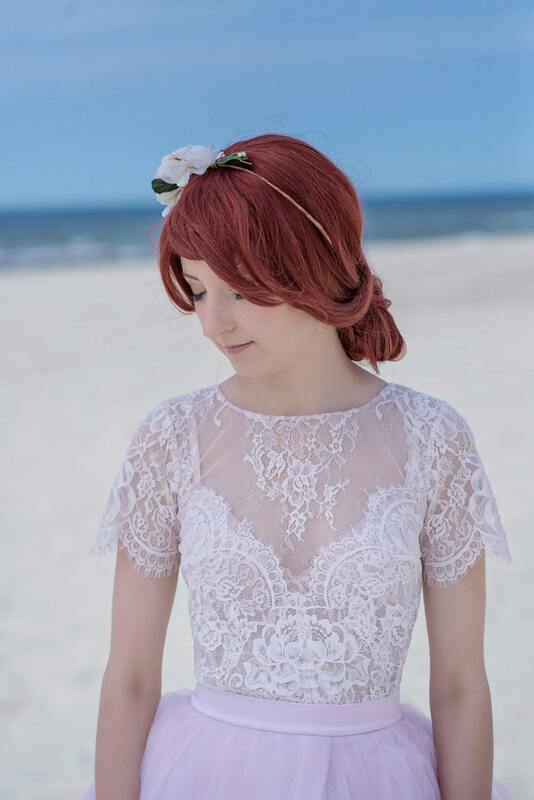 It fits perfectly and the lace is delicate so it looks really romantic. The communication with Inge was uncomplicated and she's always been helpful.